Right-click an object in Chrome's console and select Store as Global Variable from the context menu. It will return something like temp1 as the variable name. 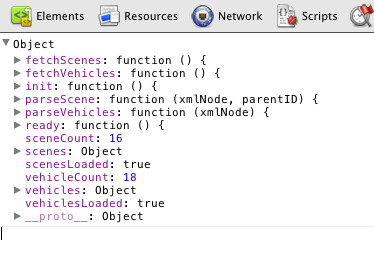 Chrome also has a copy() method, so copy(temp1) in the console should copy that object to your clipboard. Note on Recursive Objects: If you're trying to copy a recursive object, you will get [object Object]. This is to be expected. Try JSON.stringify(). Copy the resulting string. You can copy an object to your clip board using copy(JSON.stringify(Object_Name)); in the console. Right click on the object and click "Store as Global Object". Chrome would print the name of the variable at this point. Let's assume it's called "temp1". In the console, type: JSON.stringify(temp1). At this point you will see the entire JSON object as a string that you can copy/paste. You can use online tools like http://www.jsoneditoronline.org/ to prettify your string at this point. If you've sent the object over a request you can copy it from the Chrome -> Network tab. You may want to remove the .replace(/./g, ",\n") regex if your data happens to have comma's in it. Then paste into your editor. How do I access store state in React Redux? How can I grab all css styles of an element? I have an array of objects with varying length based on selected city. How to select the element which hold an object with certain property? Copy return values from the console in Chrome?